Rymek Carrying Bag is available in Accessories. 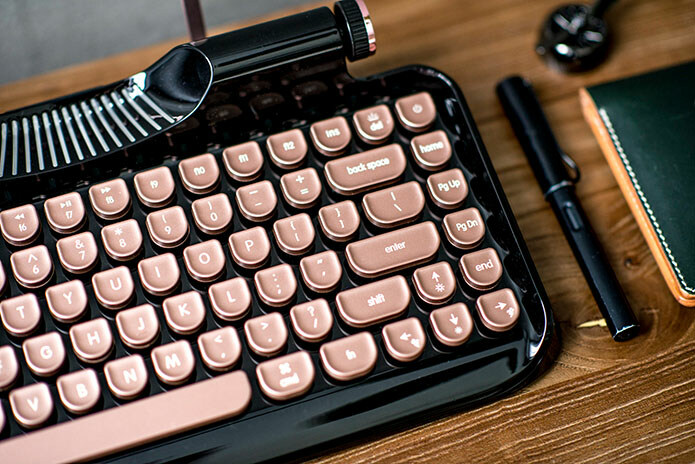 Rymek comes with ergonomically saddle-shape keycaps; the glossy surface is beautiful as well as durable. All keys are arranged for comfortable operation from a default position, which boosts not only typing speed but also accuracy. Rymek features a stainless steel stent to secure your phone or tablet while typing. Rymek adopts Bluetooth 3.0 and supports iOS, Android, macOS and Windows(With Bluetooth feature) with a highly stable connection. You can pair with 3 devices and easily switch with shortcuts. Rymek ( Dual Mode Mechanical Keyboard ) comes with dynamic backlit keys, something you rarely get to see in a wireless keyboard. Rymek offers 5 brightness levels(0%~100%), 7 light effects, 4 dynamic speed for choice. You can also turn off the backlit as needed. Rymek is eager to engage in the sociocultural evolution, embracing your nostalgia with retro tech. It also supports USB connection, so you can use Rymek with your Windows, Linux OS or other operating system computers. We also design a dual USB port so that Rymek can better suit your setup. Simply use its vintage handle to switch between Bluetooth and USB mode. KnewKeys Wrist Rest helps to alleviate the aches and pains associated with hours of typing by encouraging a neutral wrist posture. The material is comfortable cotton fabric surface, good for both summer and winter. 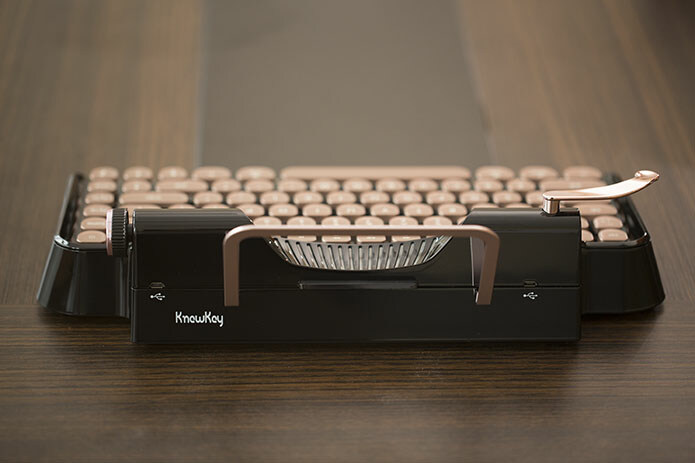 KnewKeys Wrist Rest does not sale alone, will ship together with the keyboard.